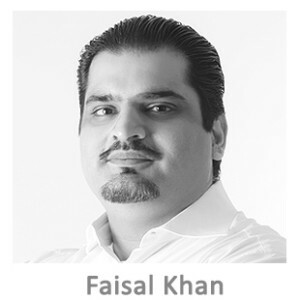 Faisal Khan is a result-oriented banking and payments consultant who specializes in cross-border money transfer. Consulting focuses on working with incumbents and new startups in the money transfer / payments industry. He helps companies in partnering up, opening new markets, new channels, expanding their reach into foreign markets and networks, gaining access to banking, providing licenses and regulatory cover, optimizing international ACH payments, advising Fintech startups, individual entrepreneurs, Not-For-Profit entities, etc. He has a deep understanding of the mechanics involved in money transmission, from the old, new and emerging methodologies, including value-transfer using alternative currency methods. Based out of Istanbul, Turkey, Faisal works globally with majority of his clients from North America and EU. He is a frequent speaker and moderator on various international conferences for money, banking and payments. Mr. Khan is the co-host of Around the Coin, a weekly podcast on Payments & Fintech with over 20,000+ listeners. He is also a talent scout for Series A & B financing for various fintech VCs/funds. He is also a frequent contributor to popular Q&A site Quora where he has been a Top Writer 6 consecutive years.